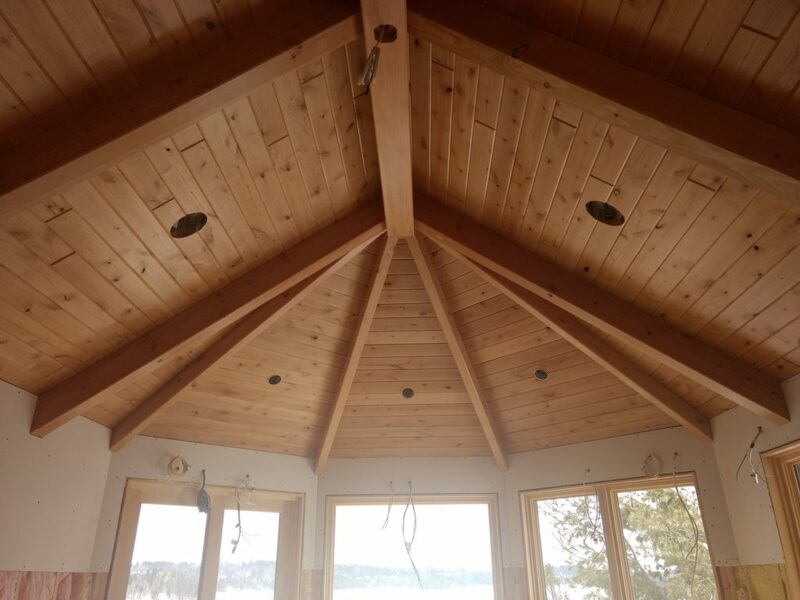 For a good part of the past couple months, Douglas Fir timbers, alder paneling and drywall have comprised the bulk of the work on this current project. 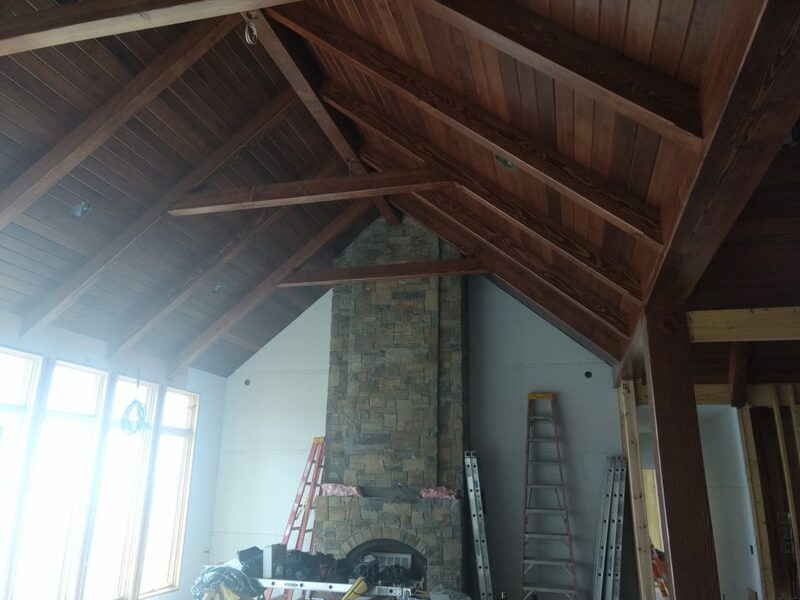 The great room, kitchen and foyer ceilings and beams are all stained a dark brown color, the master bedroom and bath ceilings were finished with a natural clear coat. Slowly but surely the paint and tile choices are coming along. 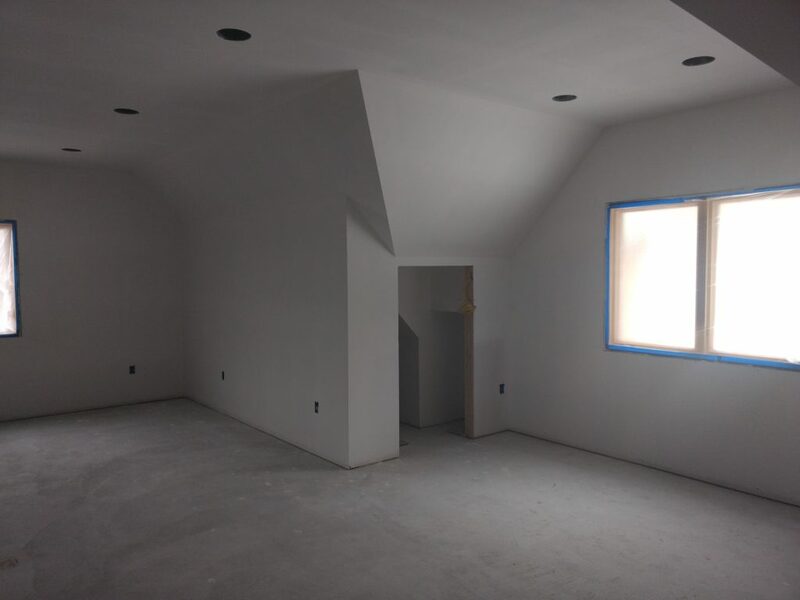 Once we can get those walls painted we can get into the finish trim work. 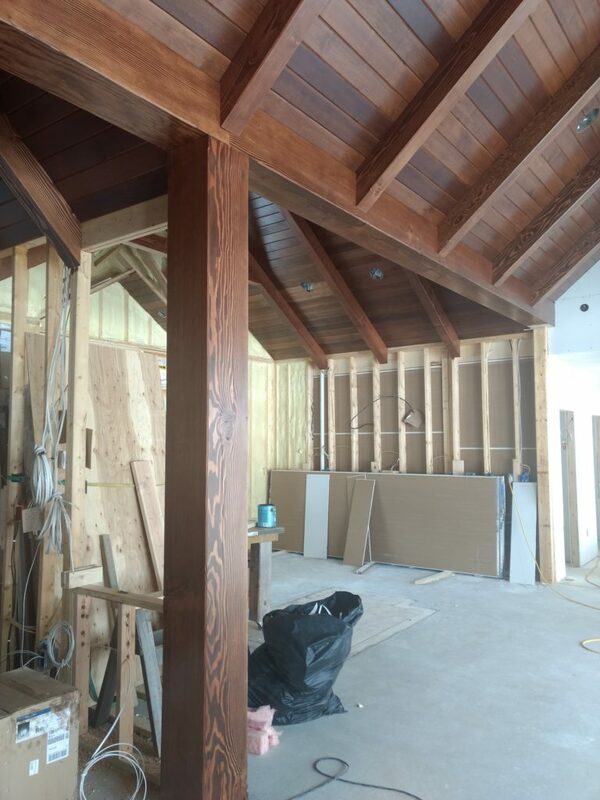 It is a big project and Scott and Chris and John have done an amazing job as always.